There was a time when you needed just a good writer to oversee your content marketing campaign. Here the activities were limited to just writing a few blog posts, publish them and then accept that all good work has been done. But with the passage of time things have gone for a sea change and there are now many elements that plays a very important role. How significant is Copy writing? The present scenario depicts content marketing as a vast and major growing industry. Writers are only one element or part of the multiple marketing force that successful content marketing demands. Content marketing is a marketing strategy which is focused on developing and distributing valuable, related and consistent content to pull and have for long time a particular group of audience and finally to drive customer to some beneficial action. This it can be understood that it is not about just writing but also about creating and distributing content for the ultimate goal of marketing to give a desired call for action from the customer point of view. Though there are now so many factors involved in content marketing , there is still a need of copywriters. There are some who put forward the argument that role of copywriter is now more important than it was earlier. At present developing a copy is not at all a very difficult task or expensive. You can easily discover an agency dealing with content marketing but not having much experience, a freelance writer or a broker who can pass onto you some articles at a cheap price. But the point is that does quality content comes out finally. Now having a output of good quality content is a hard task to achieve, just because of the sheer amount of content which has mushroomed like never happened earlier. The massive outbreak of content has attracted the attention of marketers to declare that they are in a state of content shock. The concept that content marketing has reached its last point and is no longer to be result oriented. There is more than one valid reason to support the idea that the process of content marketing should go on. With the passage of time the field of content marketing has widened and it has also gone deep. The discovery made was that the consumers are just not motivated by popular and general appealing content but some constricted, niche content do play a role. But there is still the need of content and the content that reaches the consumers is created by copywriters. Here I am not considering the freelance writers. But of those content marketing copywriters who have the awareness and skills to sustain the pressure and the demand of the world of content marketing. So what are the necessary skills? In this post I have stated some of the must have skills for content marketing copywriters of today must possess. The first and the foremost skill needed is that a copywriter should be able to write well. Actually there is a lot of things to be careful and should be managed well. Try to focus on different aspects of writing like grammar, punctuation and spelling. Transforming some complex topics into simple one. Choosing the best and the most relevant words within a specific content. Incorporating lines that grab the attention of the reader at the very outset. Making use of the proper style. 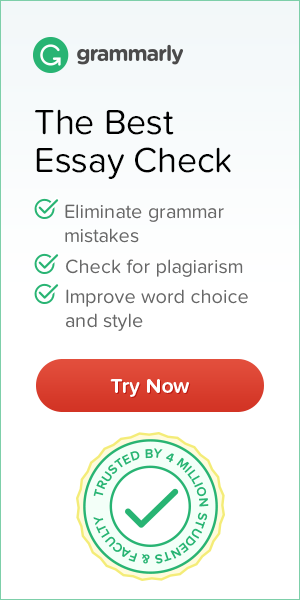 A writer necessarily need not be a grammar expert to be skillful as we have different options to use and reap the benefits like spell-checkers and copy editors. Studies have shown that a vast majority of viewers read the headline and read the copy casually. This is an indicator that the people are more attracted to headline and the image in the content rather than the copy or the text. Effective use of power words in the headline and use of numerical in the headline brings more click. There is enough evidence to prove that it works. There are no set formulas for writing headlines that clicks but headlines should be unique of its kind as the visitors won’t like to read the same stereo-type of headlines over and over again. Again headlines should be brief and it should not exceed more than 65 characters. Headlines appear in different places and for the audience may not respond in the same way in all places. Like a facebook audience may not respond as a Twitter would. There is a need to customize the headline depending on the place they will be circulated. Writers who are not capable of creating effective and powerful headlines are of no value even if they write some good content. A reader does not read the text until the headline of the content sounds compelling. What is copywriting? It is just not putting words but demand more. The words show up on different devices within a blog te3mplate, facebook, Twitter and all that is demanded is that copy has to fit into the imaginary and digital context. There are some who have the opinion that copywriters should have idea about SEO, conversion rate, optimization and many more but if we find all this skills we won’t be able to get some writers who have both the engaging writing and all the technical skills. There is no need of setting the standard so high for the writers but the writers should be better off if they are aware of the user experience. By user experience it means that how someone uses the website and the overall interaction between human and website. User experience has a lot of impact on parameters like content, design, conversion, search and everything in there. So my advice to writers is to focus on the user experience rather than on the SEO. Make use of the keywords which will influence the users and that will help the blog to be better identified with all other relevant features of the context. Is there a need on the part of the writers to have knowledge about keyword density, content silos, internal linking structure and anchor text dilution? These are the requirements which will be a booster. It is better for the writer to focus on the user experience and the SEO issues will be taken care of by themselves. In case of conversion optimization focusing on the user improves the chances of conversion rate. The same case applies for web design also. Thus the necessary skills of the writers do not include SEO, CRO and UXD. The writer just has to focus on writing contents keeping in mind the user experience. There has been a change in the way the content is placed and just hiring a freelance writer would work. The writer should have the basic and advanced knowledge of the niche he will represent through his content. More and more evidence has surfaced that content creation is only the cup of tea of someone who has indepth knowledge within the niche. Today the call of the day is of those writers who have experience and specialization at the same time. The writer should have knowledge that he or she is in the marketing industry. Now the the writer should not only have huge experience in content but they should be update with other features of marketing. The time the writer gets an idea of the broader parameters of the content, digital marketing and marketing as a whole he or she is in a better position to create compelling and strategic content. The writers should not only be able to write good content but also should be able to sell the benefits. Marketing knowledge helps the copywriter to create excellent and marketing –focused content. Hope the intention of my post has been understood in the real context. Basically my objective is to help writers understand the recent trend of content marketing. With the change taking place a new set of skills have to be developed to improve. Content marketing will need copywriters, so it is high time that you start honing the skills you so desperately need as writer. What is your take on this subject? Do you think there are other necessary skills for content marketing copywriters of today? Share it in the comment section below.